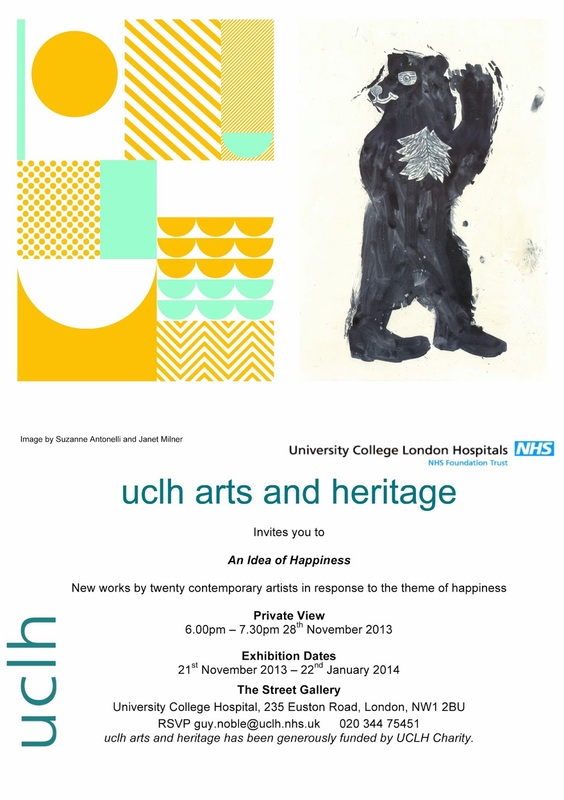 I am delighted to announce a new exhibition at UCLH Arts exhibition space on Euston Road, London that I have curated. Entitled An Idea of Happiness the show includes work by artists Suzanne Antonelli, Rose Blake, An Gee Chan, Erica Donovan, Flying Machines, Melvin Galapon, Livi Gosling, Lucy Gough, Matthew Green, Adam Hayes, Jealous Inc, Menna Jenkins, Simona Lia, Maddison Graphic, Janet Milner, Nick Morley, Jess Wilson, Susie Wright. 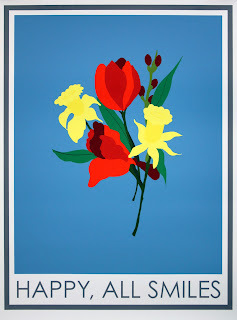 The exhibition follows on from my other curated exhibitions in the space; Black Light, Snap and Allotment. 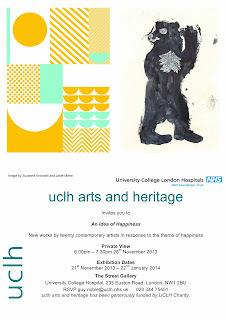 The exhibition opens on the 21st November with a private view on the 28th November, I hope you will be able to make it. Below is a small glimpse of part of the exhibition on installation day. Pictured are works from Lucy Gough, Erica Donovan, Maddison Graphic, Simone Lia, Janet Milner, alongside my edition Happy, All Smiles.